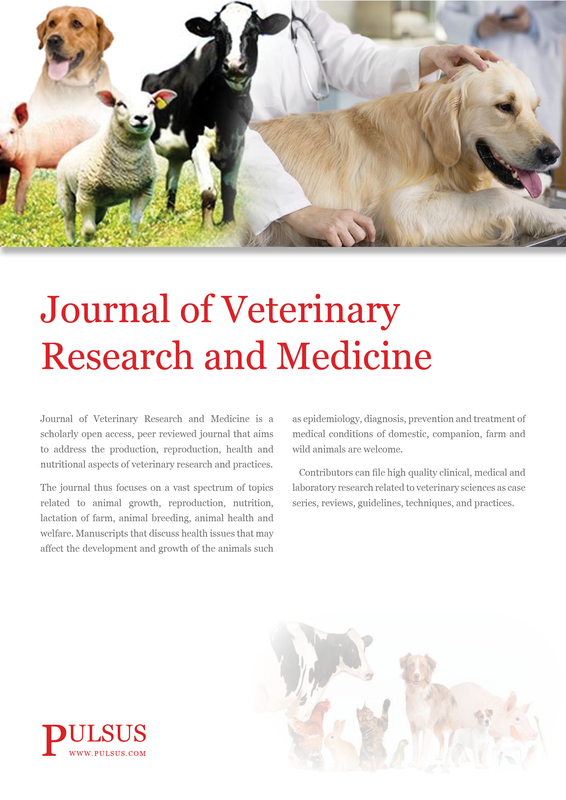 Journal of Veterinary Research and Medicine is a scholarly open access, peer reviewed journal that aims to address the production, reproduction, health and nutritional aspects of veterinary research and practices. The scope of veterinary medicine is wide, covering all animal species, both domesticated and wild, with a wide range of conditions which can affect different species. The journal thus focuses on a vast spectrum of topics related to animal growth, reproduction, nutrition, lactation of farm, animal breeding, animal health and welfare. Manuscripts that discuss health issues that may affect the development and growth of the animals such as epidemiology, diagnosis, prevention and treatment of medical conditions of domestic, companion, farm and wild animals are welcome. Contributors can file high quality clinical, medical and laboratory research related to veterinary sciences as case series, reviews, guidelines, techniques, and practices.